According to medical records, Titan fractured his tibia in both legs. 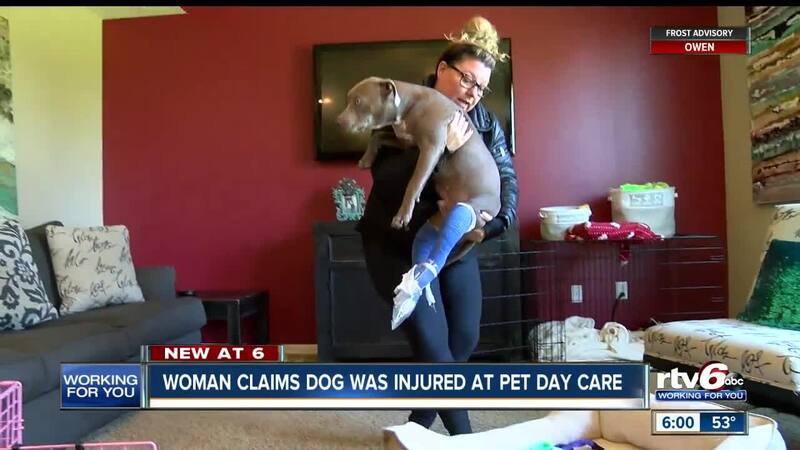 INDIANAPOLIS -- Ninety minutes after Tonya Holtgrave dropped her dog, Titan, off at Barkefellers on the west side, the doggy daycare called to tell her that Titan appeared to be injured. Holtgrave said they told her that they weren't sure what happened, but she needed to take him to a veterinary hospital immediately. "I was just shocked when they called me and said he was hurt, and it's kind of been a shock ever since," she said. "They let my dog get hurt," Holtgrave said "That's negligence on their part, not mine." She said the vets told her Titan will need an expensive surgery. She wants the company to help pay for it. "I just can't afford that right now, $6,000 for surgery," Holtgrave said. "I am already out over $1,000 just in all of these vet bills and stuff, and his medicine." Barkefellers said they checked their surveillance cameras and did not see any point where the dog might have gotten injured under their care. Holtgrave said she had Titan's vet call the facility. 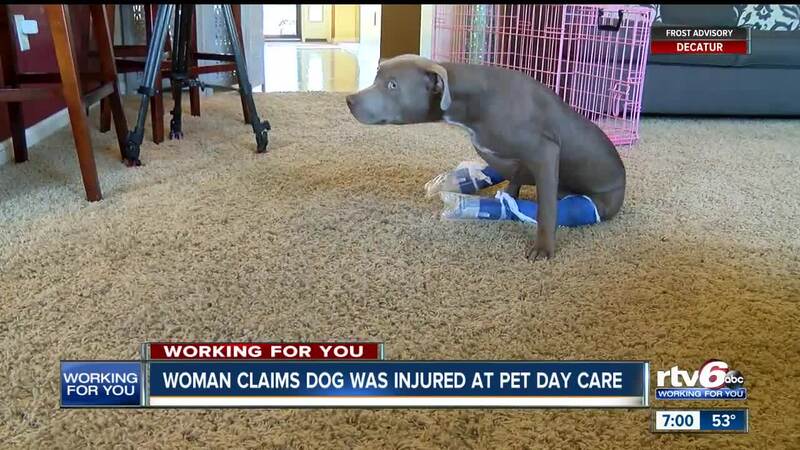 The manager said they can't pay for anything unless they have proof that Titan was injured on their property. "The other vet had already told him it was a traumatic injury, that he didn't walk in there with two broken legs," Holtgrave said. The owners of Barkefellers said they will help pay for the medical bills once they have their own vets review the records and X-rays themselves, and get the proof they need to make sure this injury happened there.